I had forgotten how much I actually liked ink. 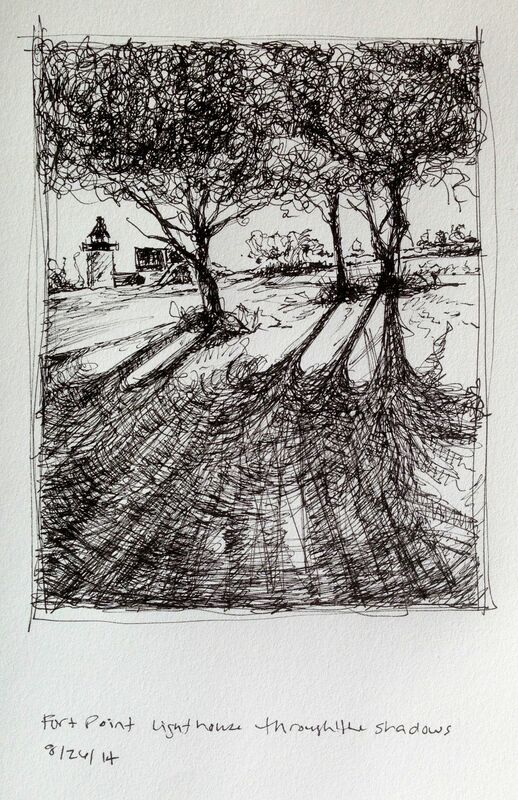 I think when I was young I may have sketched the drawing in pencil first and then gone over it in ink. Now I seem to have less fear and I can dive right in and put that ink right on the page. The lines now have loosened up for sure. Adding splashes of color with the water soluble crayon adds a spontaneity that I really enjoy. And, If I keep that color thin enough I can sneak in and add just a little over spots where I have drawn and then ink right over that too. I will keep working with this. I started out with the micron ink pen just thinking of planning a painting, but the second piece I did really turned out well. I think that it’s a good medium for small planning sketches and also finished work. Next experiment is to use the ink drawing for a base for encaustic. We’ll see how that goes. 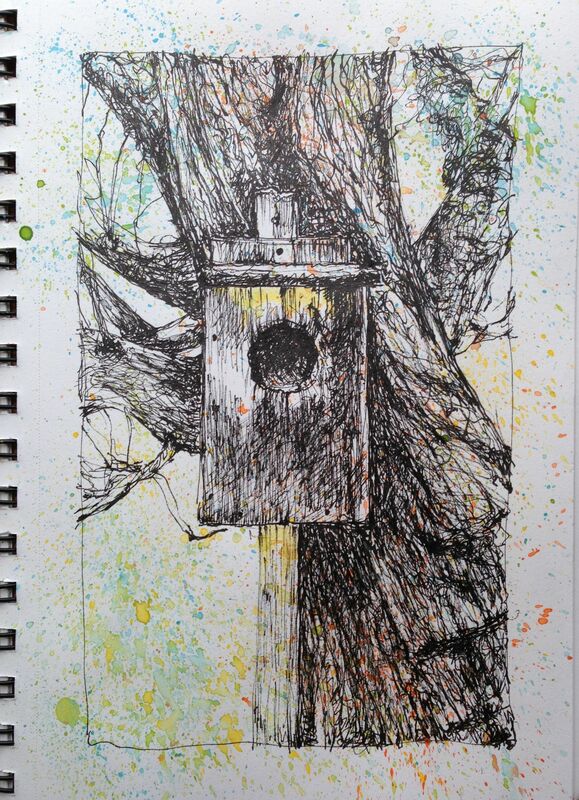 This entry was posted in Uncategorized and tagged bird house, ink pen, light house, planning, sketch, sketching, small artwork, trees, water soluble crayon. Bookmark the permalink. I do like these! 🙂 You’re an artist! thanks you guys! There are so many different mediums to use…I sometimes feel overwhelmed by them. I need to just remember that experimenting is good and I will settle down at some point.